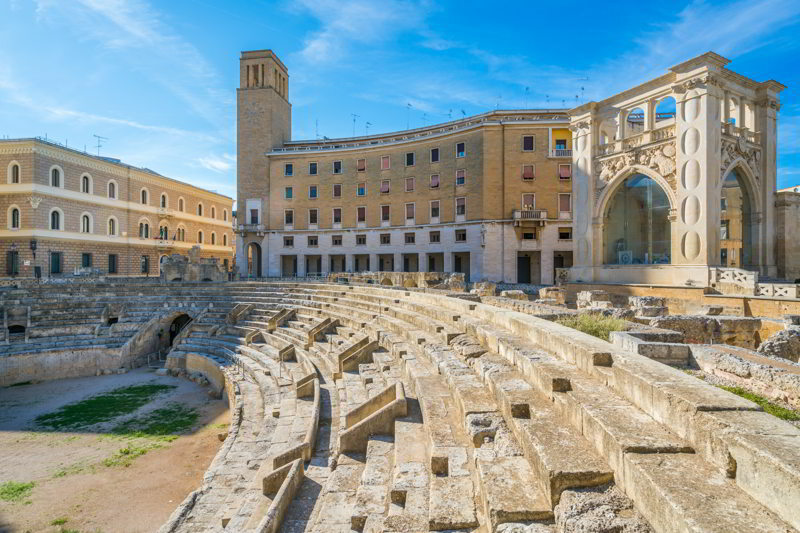 The Adriatic coast between Santa Maria di Leuca and Otranto (Regional Natural Park since 2006) is spectacular for its breathtaking views, for the very nice towns of Novaglie, a little fishermen town with an emerald green sea,Castro an old town situated on a high cliff, Santa Cesarea Terme with many examples of eclectic architecture (other examples can be found in Santa Maria di Leuca), Porto Badisco which is thought to be the place where the epic Enea disembarked, and Otranto Cape, the most oriental point o Italy. 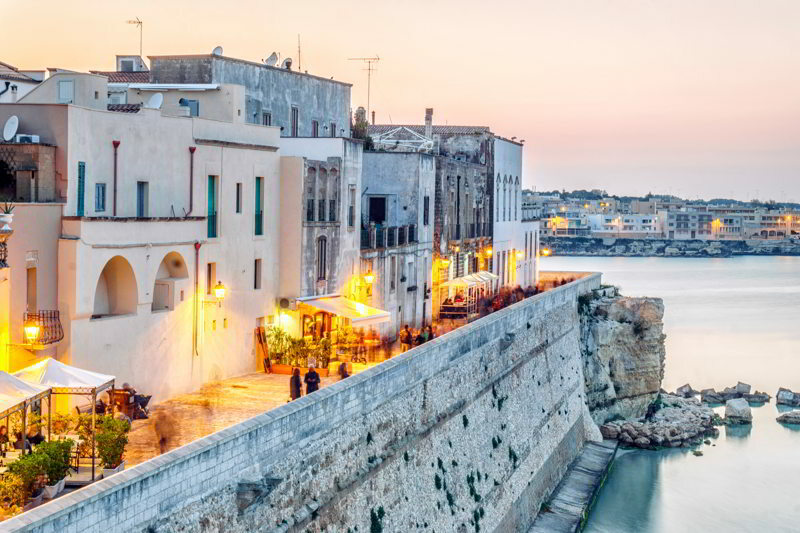 Otranto is important for itshistorical centre, for the castle and for the Cathedral, like a jewel box containing the famous tree of life mosaic. 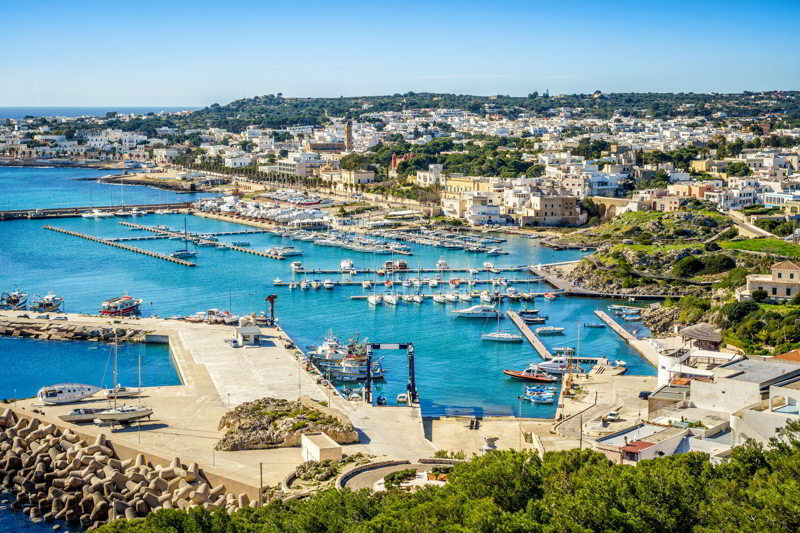 Be sure to visit the sea cavesalong the coast around Santa Maria di Leuca and Zinzulusa Cave near Castro Marina. 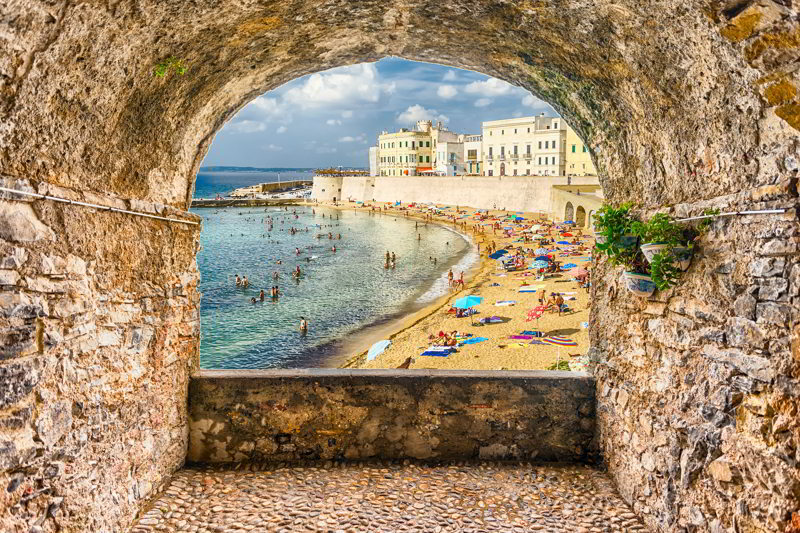 If you prefer to relax we recommend the white Ioniansand beaches of Pescoluse and Torre Vado and Torre San Giovanni. Further up to the North there is the picturesque fishermen town of Gallipoli, than Santa Maria al Bagno, Santa Caterina, up till the Natural Parc of Porto Selvaggio. Very important to visit are Lecce for its Barocco architecture and the Church of Santa Caterina in Galatina, for the colorful frescos.